Included breakfasts were good. More options available the earlier you turned up and ordered. Location was really good as it was very close to lots of restaurants, bars, shops and entertainment. The receptionist were awesome and they are ready to help at anytime you needed them. The short man at the reception was very supportive and kids friendly with an amazing hospitality behaviour. Same as the permanent big chef in the kitchen. The location is fantastic and closer to the beach, as well as, restaurants in the surrounding. Location, the inside of the resort looks nice and cozy. Front desk staff were very friendly. Easy check in.check out and they even printed our boarding passes for us!!!! excellent location. Walking distance to beach, shops and restaurants. 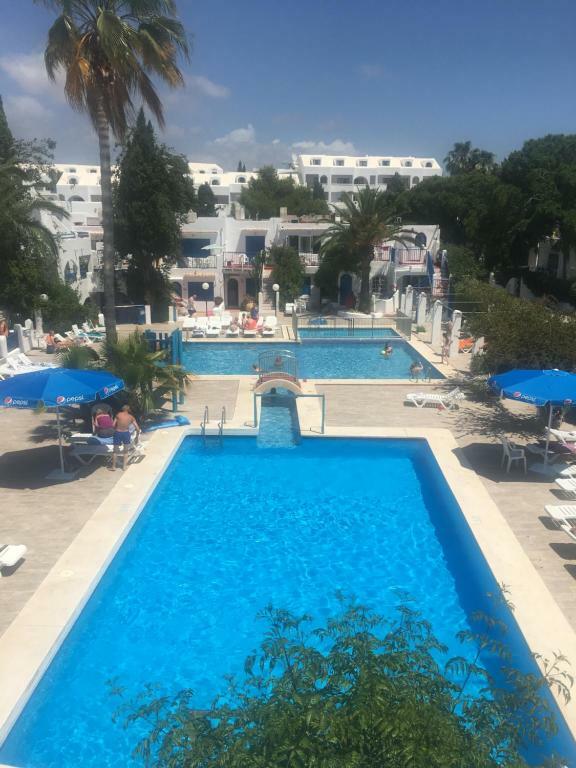 Great Location,staff was wonderfull,room we stayed was great, beach walking distance. 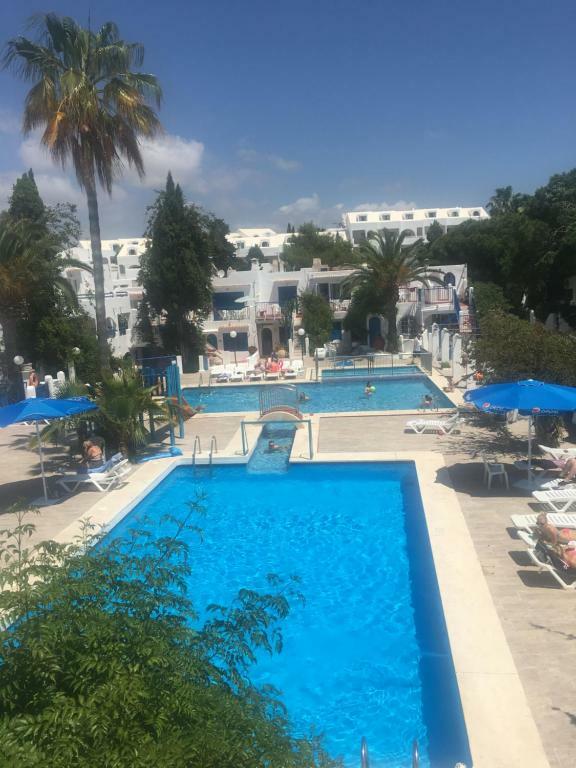 Apartamentos Cala d'Or Park This rating is a reflection of how the property compares to the industry standard when it comes to price, facilities and services available. It's based on a self-evaluation by the property. Use this rating to help choose your stay! One of our best sellers in Cala d´Or! 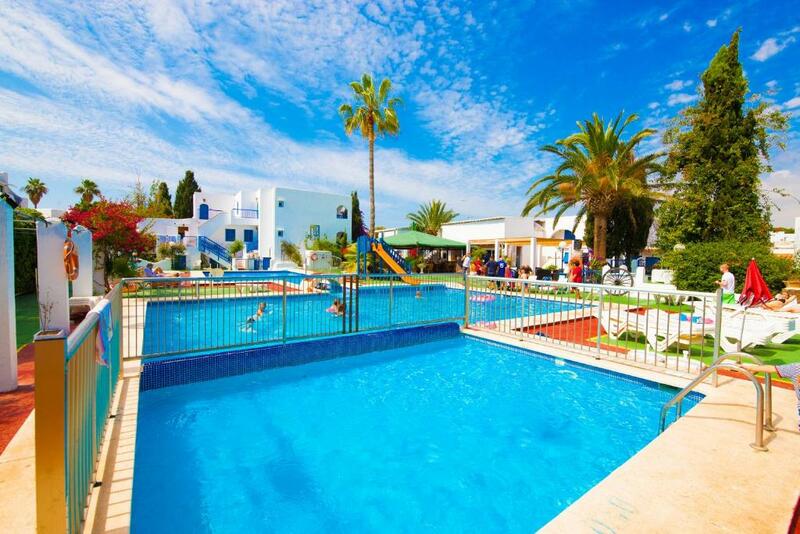 Apartamentos Cala D´Or Park is 800 feet from Cala Gran Beach in the Mallorcan resort of Cala D’Or. It offers an outdoor pool, 24-hour reception and free parking nearby. Featuring parquet floors and light wood furniture, each apartment has a living room with a sofa bed and satellite TV. Air conditioning can be hired. There is a private bathroom and a kitchen with a fridge. The complex has a restaurant and a café-bar. There are shops, bars and restaurants within a short walk in Cala Gran. Bicycle and car rental are available from the tour desk. You can also exchange currency. 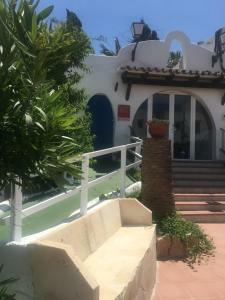 Massage is available and there is mini golf and a games room with billiards. 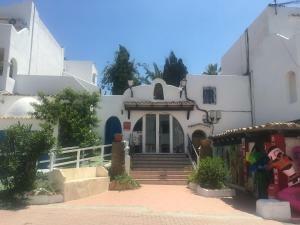 뀐 Located in the top-rated area in Cala d´Or, this property has an excellent location score of 8.1! When would you like to stay at Apartamentos Cala d'Or Park? This studio features a seating area, microwave and stovetop. This apartment features a satellite TV, seating area and balcony. es un complejo tranquilo ideal para familias y amigos , a 100 mts de la bonita playa de cala gran en cala dor. ideal para pasar una idilicas vacaciones, leyendo un buen libro al lado de la piscina y tomando el sol en un ambiente relajado. me gusta el trato con los clientes y que esten contentos durante su estancia en el hotel, siempre estando pendiente que disfruten de unas vacaciones inolvidables en cala dor. 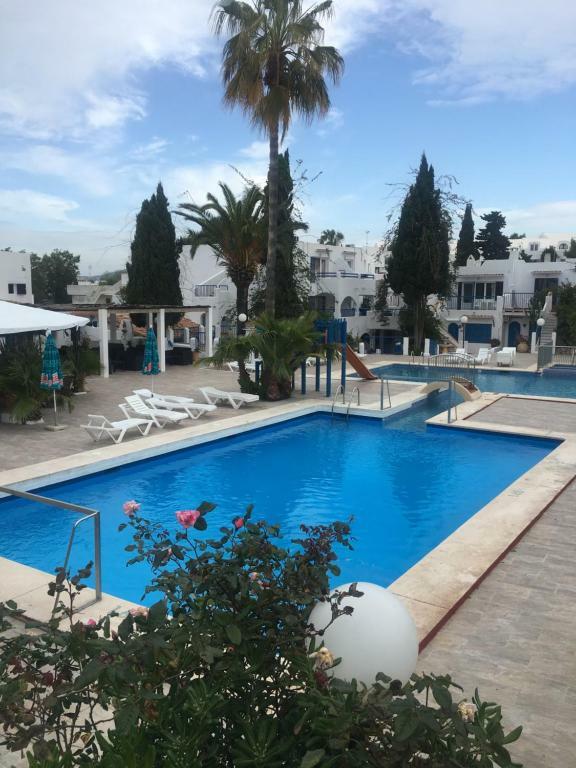 House Rules Apartamentos Cala d'Or Park takes special requests – add in the next step! Apartamentos Cala d&#39;Or Park accepts these cards and reserves the right to temporarily hold an amount prior to arrival. Apartamentos Cala d'Or Park accepts these cards and reserves the right to temporarily hold an amount prior to arrival. Towels are changed twice a week. Sheets are changed once a week. A hairdryer, iron, coffee maker and toaster are available upon request at reception. Please note that the apartment has 2 keys. This is a bit old and in much need of a refurbishment but clean and decent beds. I needed somewhere really cheap for three nights and it was perfect for that. I wouldn't book this for my main family holiday. Clean great location and good staff. Balcony furniture very basic and table rickety. Mattresses not so comfortable. The mattress are more like just wood. No bit of big pot to cook little food for 4 people. The TV is actually not functioning for children to watch. We can not use aircondition unless we pay which actually should me free to use as ghe cost should be covered as part of the rent for the comfort of lodgers in the room. Room. No hot water. The people in reception didn’t smile and didn’t say welcome. Grimy and sticky and shabby. Needs total overhauling, bit old and shabby looking but the potential is there as it is a pretty set iup but let down by dirty stickyness. The bathroom was dirty - there was mold in the shower. Cleaning staff never came in to clean our room or replace bath towels. They charge extra for most amenities (fan, a/c etc.) where other hotels provide these at no charge. No hair dryer in room, no shampoo or conditioner provided either. As someone traveling in from another country, this is frustrating as you have to find s store and purchase these items and then leave them if you can take on a carry on. The beds decor and the price. Very dated property. Pool and the location was great near everything. Room damp and smelly. Toilet too close to the door, had to sit sideways. Shower screen too short, flooded bathroom when you showered. Unable too use wardrobe as there was mould growing in it. Very noisy. Very basic facilities in room. pretty much everything, we were extremely lucky to have family stay at an apartment down the road so we could get away from this hotel. Our bathroom was extremely damp - i could not use due to asthma and the smell made me gag, had to open all windows to try to get rid of smell - had to shower elsewhere, room was dirty, cleaned twice in a week. we were offered to look at another room but the guy on reception said 'the room is below you so will probably be just as damp' !!!! I wouldnt mind if it was ultra cheap but at £660 for the week it was disgusting - stay away from here.